At What Age Should I Bring my Child? It is never too early to begin teaching good oral hygiene and dental habits to your children. Children should see the dentist regularly and understand that visiting a dentist is an essential part of growing up and being healthy. That is why at Brookwater Dental Surgery we see children of all ages for their dental needs. The Australian Dental Association recommends that children should first visit the dentist around the age of 1, or within six months of growing their first tooth. Our general dentist, Dr Georgia Clarke has a special interest in children’s dentistry, and your children may have already met her at one of her local school visits to teach good oral hygiene. So give us a call today and bring your children in for a check and clean! Why Should I Bring Them at a Young Age? While bringing your child to the dentist when they only have a couple of teeth may seem pointless, it is important to familiarise them with the sights and sounds of the dental surgery. It also gives your dentist the opportunity to discuss good oral habits, including brushing, diet and what to expect in the coming years. We want your children to be comfortable seeing the dentist, so when they start growing their adult teeth or if they experience any dental trauma (accidents happen!) they are relaxed and happy in the dental chair. 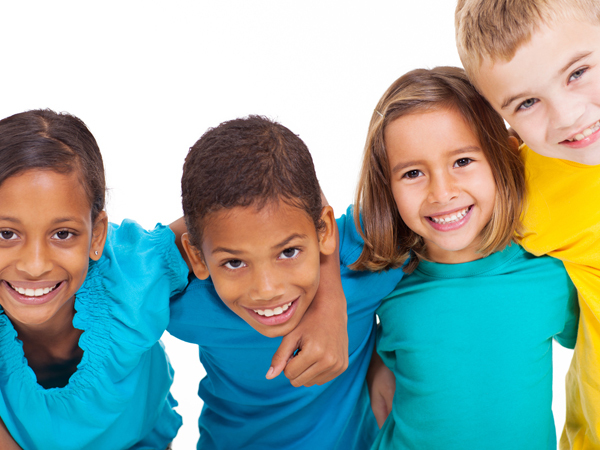 At Brookwater Dental we try to make things easier for you and your children by participating in the Child Dental Benefit Scheme and offering GAP FREE exams to those with private health. This make quality dental treatment both accessible and affordable – please click the relevant pages to find out more about these two offers.